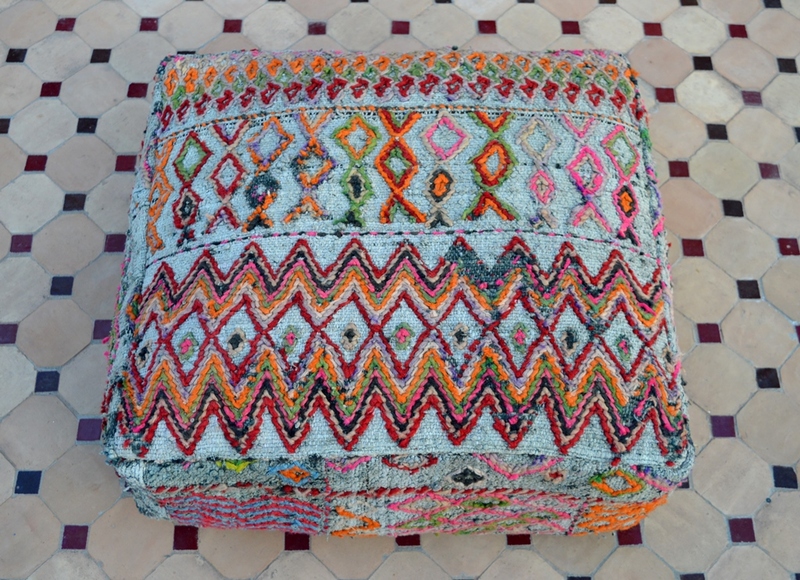 A beautiful Talsint floor pillow recycled from the sound part of a vintage Hanbel. 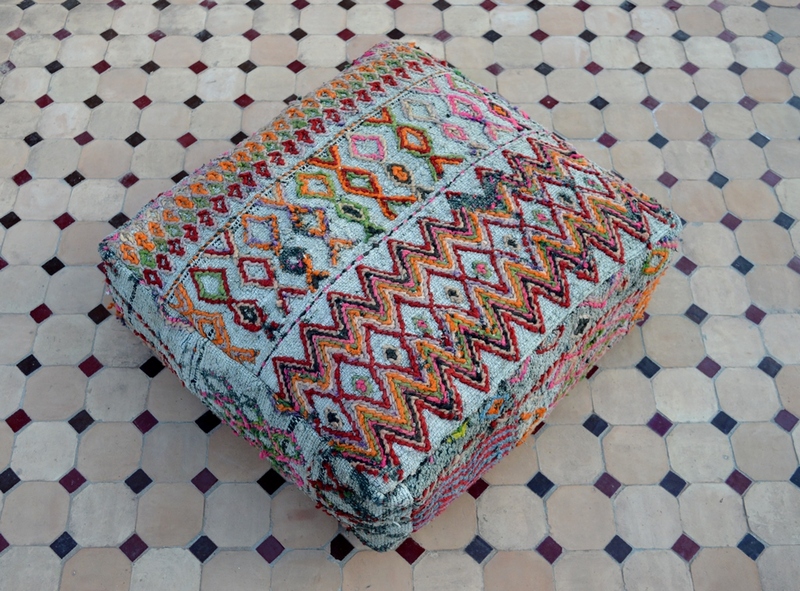 The Moroccan floor pillows are very decorative and ideal for lounging or to play around with in your interior. They can be used to create extra seating or double as low tables with a tray. Each floor pillow is a unique piece. With a strong large zipper for quick and easy filling. All the pillows are shipped without filling. 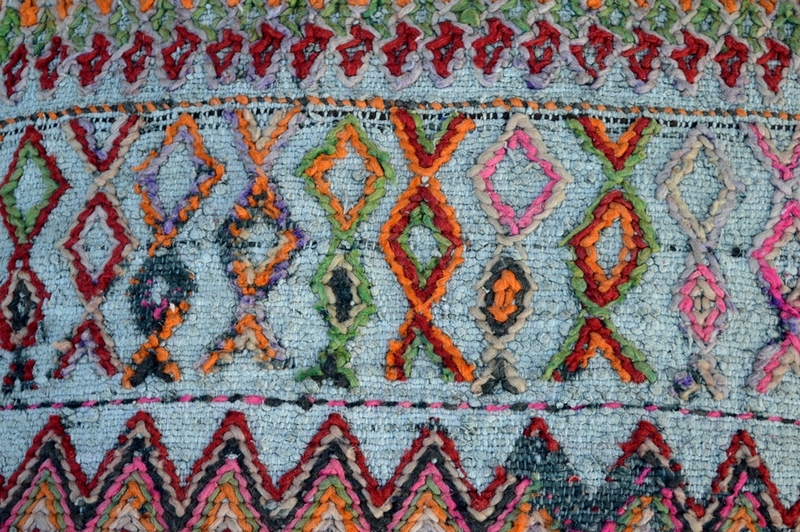 Vintage textiles can have imperfections which add soul and charm to the item.